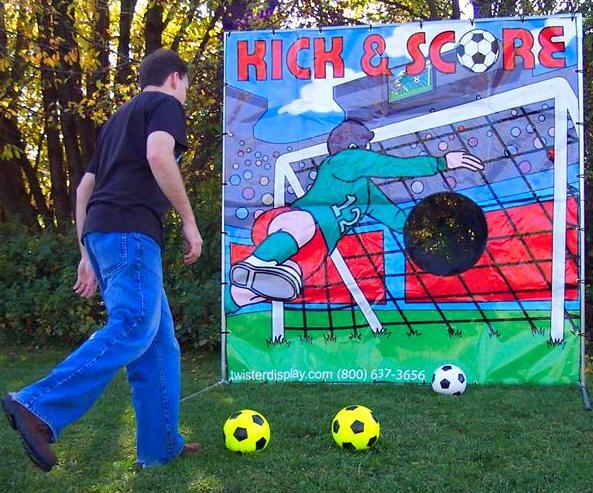 Kick & Score Soccer is a winner at any sporting event, fund raiser, or carnival. It's a very simple game but irresistible! Soccer players from the little tykes to the big kids will be lining up to give it a shot.